Vidit Kararia from Ajmer, B.E. - B.Tech Graduate. CORPORATE FINANCE SAP MM INVESTMENT BANKING A.. STRATEGY AND BUSINES.. CONSULTING DIGITAL TRANSFORMATI.. PROCUREMENT SOURCIN..
are one of expert skill area's of Vidit Kararia . 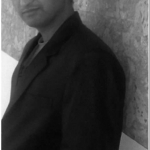 Vidit Kararia is working in Corporate Planning/Consulting/Strategy industry.